Masonry, glass, metal, concrete ... these are the building materials that Vincent “Vinny” Petrarca and Katherine Hogan, AIA, owners of the firms Tonic Design and Tonic Construction, in Raleigh, N.C., favor. “These things last over time,” Hogan says. “For over 20 years, we’ve been watching as our projects age and evolve,” she adds. The couple believes it all comes down to detailing and materials. Petrarca and Hogan, whose work has won numerous awards, put great stock in the idea that every project they do is unique—with a “particular site, a client with a vision, a budget,” Petrarca says. 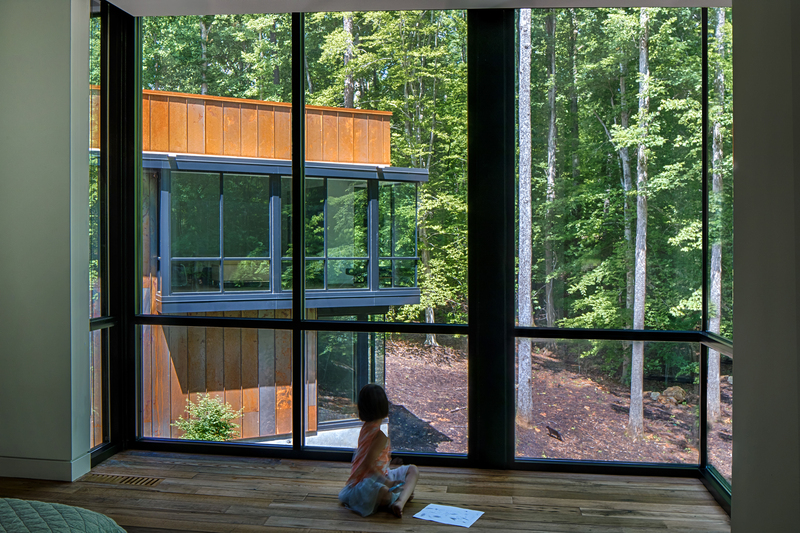 Petrarca graduated from N.C. State University College of Design and worked for Raleigh-based architect Frank Harmon before starting both Tonic Design and Tonic Construction in 2003. Hogan graduated from Syracuse University School of Architecture in 2005 and worked for Will Bruder Architects, in Phoenix, before joining Tonic in 2008. Working for other architects helped the pair not only hone their craft, it also provided insight into running an architecture firm and the business of building. Petrarca recalls that at Harmon’s firm, “We often had to do things like build handrails for a house or doors for a museum.” Through these experiences, he learned the value of a builder who understands architectural intent—and how important this understanding ultimately is to the cost effectiveness of a project. The principals of Tonic Design and Tonic Construction are a husband-and-wife team based in Raleigh, N.C. 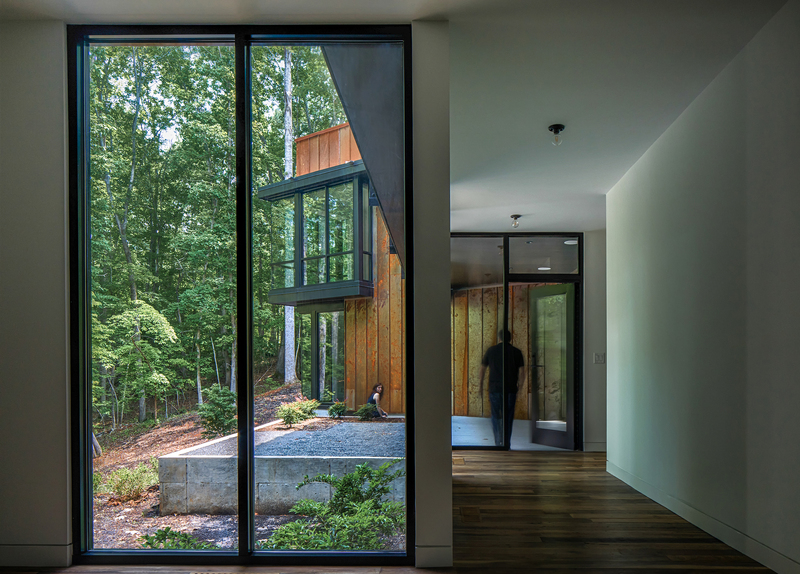 When the Tonic Design and Tonic Construction companies launched, North Carolina’s Board of Architecture had a state law stipulating that an architect could not own two separate professional corporations. So, rather than registering as an architect, Petrarca got his contractor’s license. Hogan is the firms’ licensed architect. Together, the two firms have had up to a total of 10 employees, but currently Petrarca and Hogan—now married with two children—subcontract most tasks and are the only full-time staff. 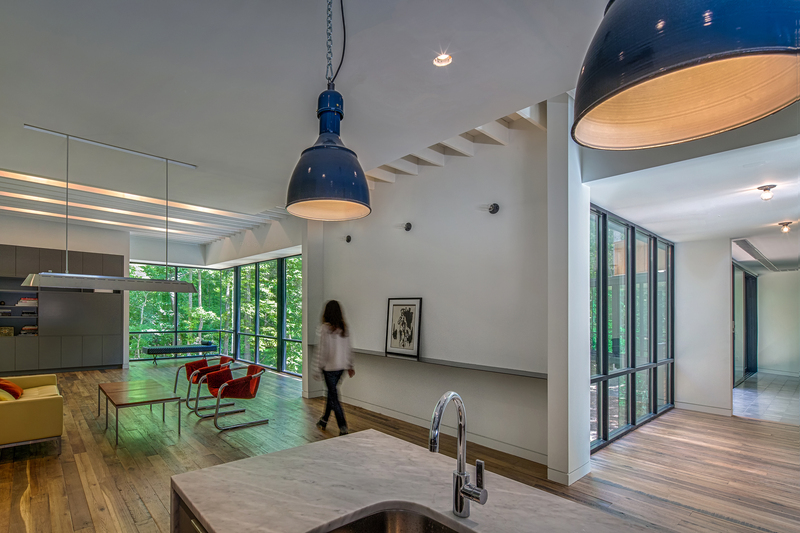 Tonic's principals acknowledge that it's all about the client, and they're acutely aware of what they do best as modernists who build one-off, custom projects. The couple feels confident with both the roles of designer and builder. “We want to get things built and realize them as the clients and the team conceive them. 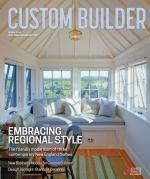 We have better results because we’re also builders,” Petrarca says. “As long as it’s modern and new and interesting, we don’t care which hat we wear. And, from the client’s side, there’s quote-unquote ‘one throat to choke.’” Both add that their design skills inform the construction side and vice versa. “Understanding both sides adds value to whichever role we’re playing on a project,” Hogan says. For now, that works with Petrarca and Hogan’s lifestyle and schedule. “We adjust our work to what the family needs,” Petrarca says, noting that it’s not worth it to do too many projects “versus the number of years you have with your kids.” The couple believes that doing fewer projects has given them a sharper design focus. They’re in high demand and are proud that each of their projects is unique. “We’re not prescribing what happens but are learning from the process, so every project is really different,” Hogan says. “We know we’re doing a good job when some clients don’t like what other clients have,” Petrarca says. “That means everyone is getting what they want. We’re good listeners. It’s really about the clients.” Just as their architecture is organic, so too is the way they run the business. “Our construction company and architecture practice have evolved as we’ve changed phases in our lives,” Petrarca points out. And in the future, they may become something else again: Both Petrarca and Hogan teach architecture at their respective alma maters and are interested in doing more public projects. “We’re hoping that projects will evolve and we’ll evolve with them,” Petrarca says. Comments on: "Backstory: Playing Both Sides"